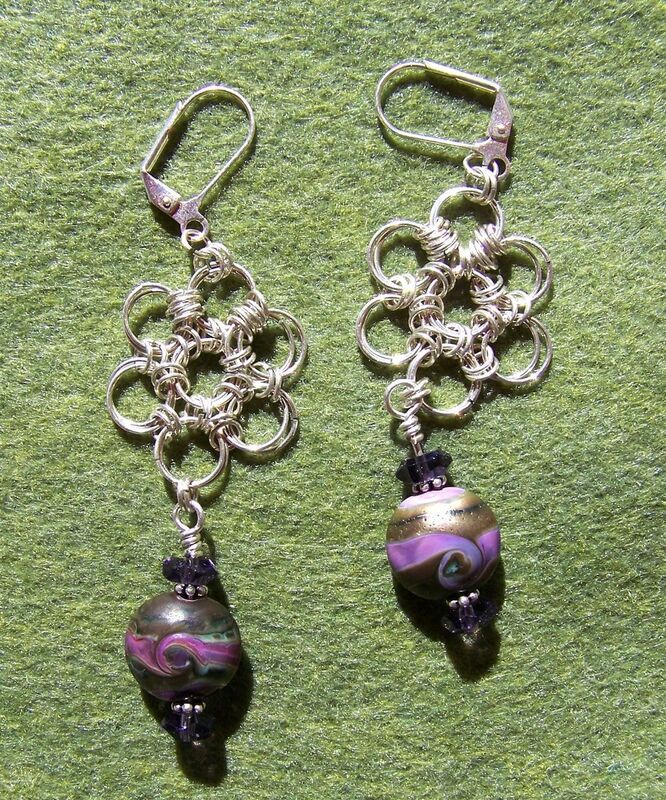 This set is made completely of sterling silver. The lampwork beads are lintel in shape and I used copper green and EDP violet Effetre glass. 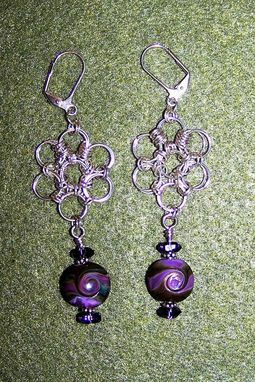 The set measures 8 cm / 3" in length.